You can add animation effects to your pop-ins, such as a slider or a fade. 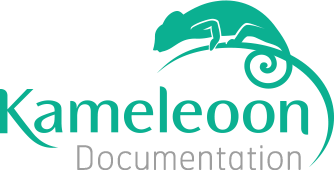 To do so Kameleoon uses the JQuery library which needs to be used on your website. Two cases are possible according to either you already use it on your website or not. If you already use jQuery on your website, there is specific thing to do before creating your pop-ins with animation effects. However, the versions might not be compatibles and the effect wanted might not work properly. We highly recommend to simulate your web personalization before launching it to make sure everything is working properly. If the effect does not work, contact our team! We will help you to set up your web personalization the way you want to. If you do not use jQuery on your website, you must allow Kameleoon to inject jQuery in your website to use the animation effects. To enable this option, use the left menu to go to the “Configured sites” page. Click on the “Advance configuration” button for the website of your choice. In the configuration menu, click on “Personalization module”. Here, you will find the "Allow injection of jQuery" option. Check the box to enable the option. To avoid conflicts, the option is disable by default. Enable this option only if you are not using jQuery on your website.